After a week of all things sweet and springy we needed something bold! Volcanoes are so powerful and fascinating . The science project bellow is always a hit, I know I made many as a child and have made more than a few in the last few weeks. Gather your materials. 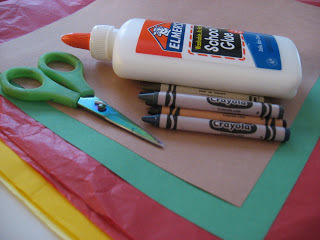 You’ll need 2 pieces of construction paper, red and yellow tissue paper, crayons, scissors and glue. 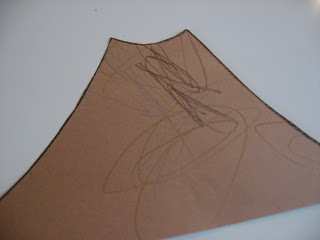 Start by drawing a volcano o the brown construction paper. If your child is able have them do this. Color the volcano. 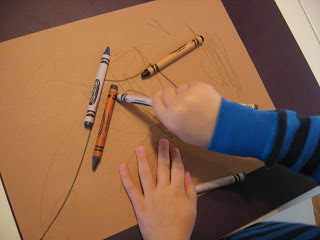 We used crayons but markers or even paint would work. 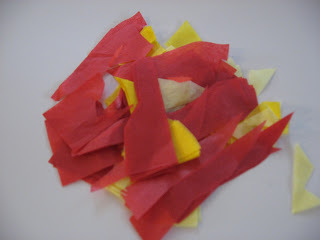 While they color jaggedly cut out the tissue paper. 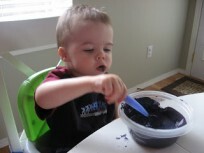 While you are cutting it out you can use this time to have your child practice cutting too. This has been a favorite part of art time at our house lately. 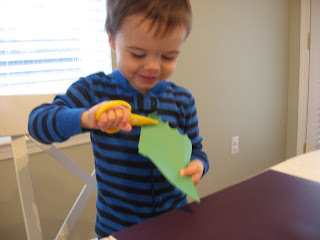 I hand my son some play scissors ( ours are simple plastic ones- they cut but aren’t sharp) and some scrap paper and he loves it. Time to glue! 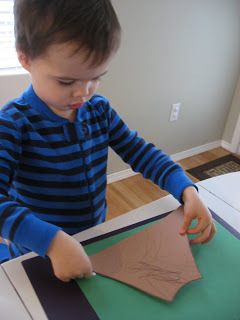 add glue to the 2nd piece of construction paper and glue your volcano down. Next add the glue for the lava. Add the tissue paper- no need to be careful just smack it on! 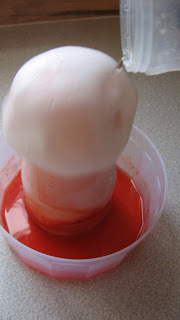 I’m sure you remember this from childhood, I know I do, especially the time I used red food dye , in the days before magic erasers. When we do this at home we normally do it in the sink to avoid too much clean up. I couldn’t get good pictures in the sink so the container worked in a pinch, although I have to admit I was worried it would overflow. Gather your materials. 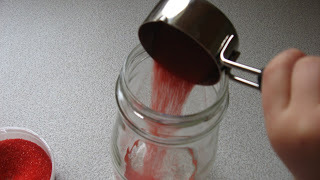 You will need a clear jar, baking soda, vinegar and if you want red sanding sugar makes great lava. Add the lava to the jar. 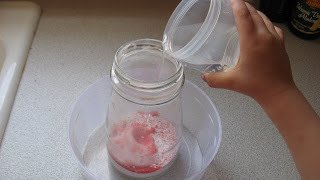 Pour the baking soda into the jar- we used about 1/4 of a cup which was enough for two eruptions. 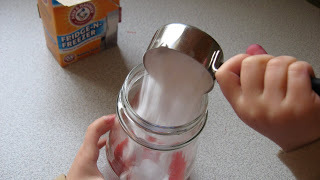 Stir of shake the jar with the lid on to mix the baking soda and the sanding sugar. Add the vinegar ( again about 1/4 cup). Be prepare for your child to beg for it again and again. Have extra vinegar ready! 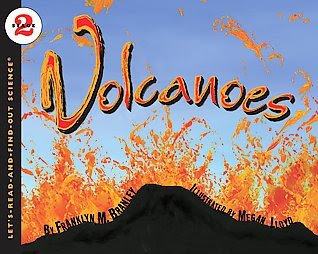 “Volcanoes” by Franklyn M. Branley is another great book in the “Let’s Read and Find Out Science” series. I can’t say enough about this series of early non fiction books, they explain things in easy to understand and interesting to preschoolers ( and school age ) way. This book was no exception, the photos kept my toddler saying “Whoa! ” over and over even if he is a bit young still for the text. This book would be great for 3-6 year olds interested in volcanoes. 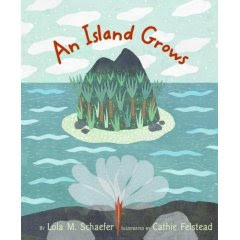 “An Island Grows” by Lola M. Schaefer is so pretty it reminds me of what the store Anthropologie would look if it was a children’s book about how islands are formed. It’s part antique fabric, part funky modern floral patterns… this was the book that I was saying “Whoa” each time I turned the page. It does a great job explaining how islands grow from under water volcanoes too ! Love this! 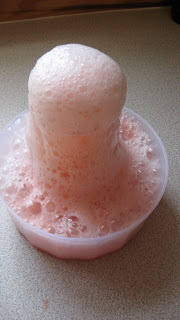 I always love the baking soda/ vinegar volcano too! The kids will love making the paper one! This is my kids favorite activity of all time. We’ve never gone so technical as a volcano. Usually we just put a little bit of baking soda in muffin cups, then pour vinegar over it. They could do it forever. I think I might do the science experiment for myself. The baby is too little to care just yet. Wonderful. My kids will love it. I wonder though where can I purchase sand sugar? Oh sanding sugar is just a fancy name for the sparkly sprinkles you put on cookies. Allie–I tagged you as being one of the most Kreativ blogs I read! You really are wonderfully creative and inspirational! Thanks!!! 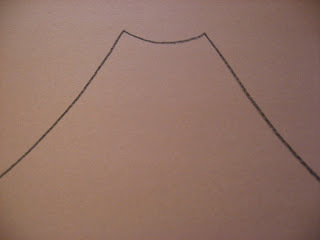 PS–I’ve done the volcano trick w/ the boys….it IS a HIT! Alright, I see that great minds think a like. I had tagged you for the Kreativ Blog Award, but it looks someone else has too. But I really wanted to let you know that I love your blog. You inspire me. Thank you. You can still check out the award here. 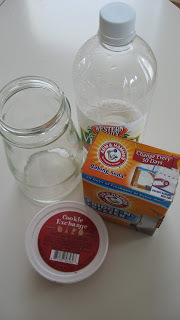 Muffin tins with an eye dropper would be a great less messy way of doing this – I think we did that in grade 2 , we had to figure out which was baking soda vs powder and water vs vinegar. Thank you so much for the awards ladies – I left comments on both your blogs ! 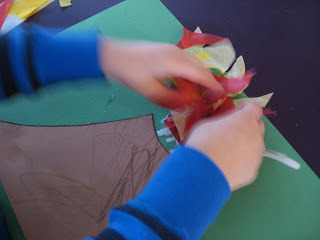 We love making volcanoes! We put them inside a 9 by 13 pan so it can overflow without a mess!! I just found your blog through crafty crow. What a great and informative blog it is! Love it. I really like this experiment and will have to try it. Thank you. LOVE this and you are a life saver!! 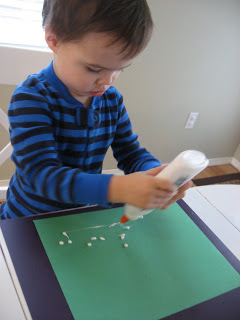 We had friends coming over this morning for a playdate and we wanted to do a craft with them. Of course I flipped on your site about 15 minutes before our guest were going to arrive, nothing like waiting until the last minute! 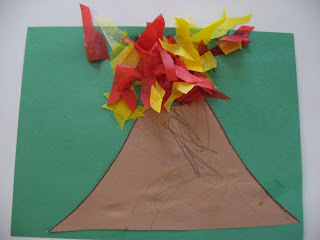 This was an easy craft for a range of ages and they ALL loved watching the “real” volcano! 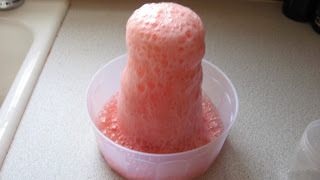 Even though I didn’t have enough vineagar and our volcano didn’t completely “erupt” but the effect was still and the kids loved it none the less! Thank for your great ideas!! You are just awesome!! I am saving this and thanking you in advance. Thanks! 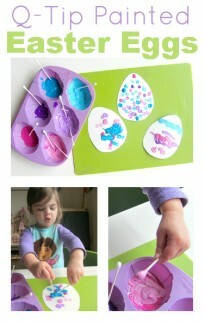 We are going to make this tomorrow! Our girls are crazy about volcanoes. I'm the oddball. I don't think my kiddo knows what a volcano is, lol. But he loved it nonetheless 🙂 . Thankyou for all the inspiration! Of course Nikki feel free ! I am definetly going to keep this one. I think it will be fun to add to my dinosaur camp. Thanks so much. I like doing the art project along with it! we did something like this over at my blog too, we used playdough….but the jar is great too, because, the can see the process better.